Uncharted: The Lost Legacy review codes are currently going out, and the file size has been revealed from downloading the review code which comes in at a huge size of 44.7GB. For comparison Uncharted 4 was 48GB at launch to install, and that was a huge download at the time. Many thought that Uncharted: The Lost Legacy was just going to be short expansion, but it looks like that will not be the case with a file size as big as 44GB. There’s also a point to be made that Uncharted 4 was released before the PS4 Pro launched, so it didn’t contain the higher resolution of 1440p/HDR patch which bumped up the overall file size of Uncharted 4. Uncharted: The Lost Legacy will also have a resolution of 1440p and have HDR support which most likely bumped the overall size up straight away compared to Uncharted 4. 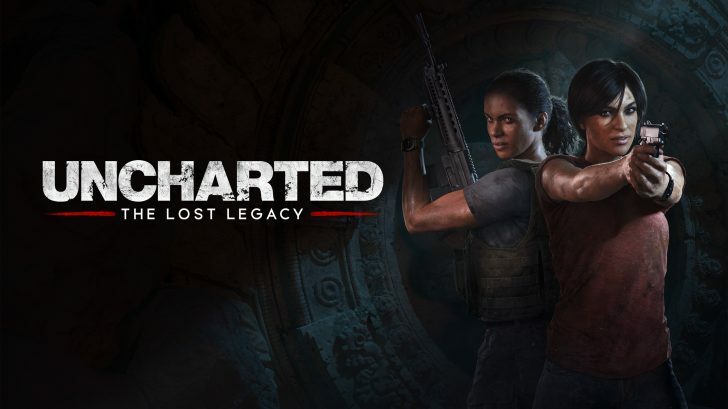 Don’t expect The Lost Legacy to come close to the length of Uncharted 4 as Naughty Dog have already confirmed it will take much less time to complete it compared to Uncharted 4. It’s probably more due to the fact this new game has 4K textures for use on PS4 Pro. This game will most likely not have multiplayer, where Uncharted 4 did, but even lacking multiplayer, the 4K textures could cause a file size like that. I’m guessing the game isn’t quite the scale that Uncharted 4 was – just larger texture files. Right, to get a better idea of the scope you would have to take a look at UC4 with the higher res textures and subtract the multiplayer. Keep in mind that there are multiple maps included in multiplayer. The result is probably a game around the same length as UC4 or one with larger areas. Yeah, I’m sure the 13 people still playing this horrendous multiple will appreciate this. Can’t be a bad thing!! 44gigs is nothing these days. There are so many games that are more than 45 gigs, seriously why do emphasize 44gigs to be alot?